James Iredell was one of the original U.S. Supreme Court justices appointed by George Washington. Iredell was born October 5, 1751, in Lewes, England. At age seventeen he began working in his family's mercantile business in North Carolina and also undertook the study of law. He was licensed to practice law in 1771. In the next few years, he became active in the Revolutionary cause, arguing that the colonies not separate from England and advocating in his writings that the conflict be resolved through reconciliation rather than war. In 1776 he was appointed to a commission to draft and revise the laws for the governance of North Carolina. 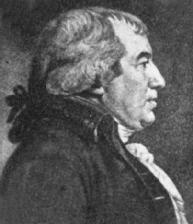 A year later he served as a judge on the state superior court, and from 1779 to 1781 he was state attorney general. In 1787 he codified and revised the statutes of North Carolina, a process that resulted in the publication of Iredell's Revisal four years later. A staunch supporter of the Constitutional Convention, Iredell led North Carolina in the movement for ratification through a series of acclaimed and well-publicized floor debates and speeches. In 1790 he drew the attention of President Washington, who appointed him to the newly formed U.S. Supreme Court. At age thirty-eight, Iredell was the youngest of the original justices. In addition to hearing cases before the entire Supreme Court, the justices at that time presided over circuit court sessions throughout the United States, which required them to travel extensively to hear arguments. Iredell was assigned to the Southern Circuit and quickly developed a reputation as an exceptional jurist with respect to Constitutional Law matters. He wrote a number of notable opinions, including a dissent in chisholm v. georgia, 2 U.S. (Dall.) 419, 1 L. Ed. 440 (1793), in which he argued that only a constitutional provision could supersede the common-law principle that a state cannot be sued by a citizen from another state. Iredell maintained that the states were sovereign and did not owe their origins to the federal government. Iredell's view of States' Rights would prevail in Congress's subsequent adoption of the Eleventh Amendment. Iredell also authored Calder v. Bull, 3 U.S. (Dall.) 386, 1 L. Ed. 648 (1798), in which he argued that a legislative act unauthorized by or in violation of the Constitution was void and that the courts were responsible for determining an act's status in that regard. This principle of Judicial Review would be amplified five years later in the landmark decision marbury v. madison, 5 U.S. (1 Cranch) 137, 2 L. Ed. 60 (1803), which held that the courts were indeed ultimately responsible for deciding the validity of laws passed by the legislative branch of government. "A written opinion must for ever afterwards speak for itself, and commit the character of the writer, in lasting colors, either of fame or infamy, or neutral insignificance, to future ages, as well as to the present." The strain of the travel required to cover his circuit, in addition to the heavy caseload of the Supreme Court, eventually took its toll on Iredell's health. He died at his home in North Carolina in 1799, less than ten years after ascending to the High Court.